Color that won’t kiss off. A barely-there feel and customizable color for a transfer-proof pout. Lasts up to 300 kisses*. *Clinical studies – 22 volunteers. Choose the color intensity you desire with our kiss-proof lip tint. The more coats, the deeper the intensity. Applying your Water Lip Stain is easy. This lip-hugging brush applies the perfect amount of color while giving precise results. Wear your Water Lip Stain alone or with other Clarins lip favorites. For a transfer-proof, matte finish and a barely-there feel. 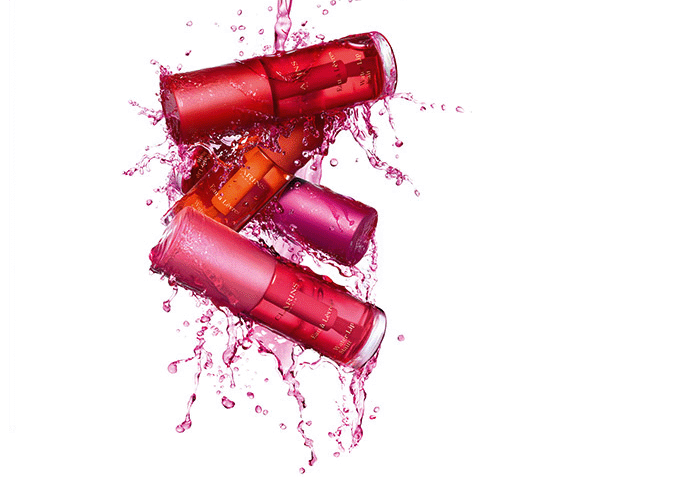 To keep lips looking colorful and kissbale, even after your lipstick wears off. For an ultra-glossy, intense color pay-off.